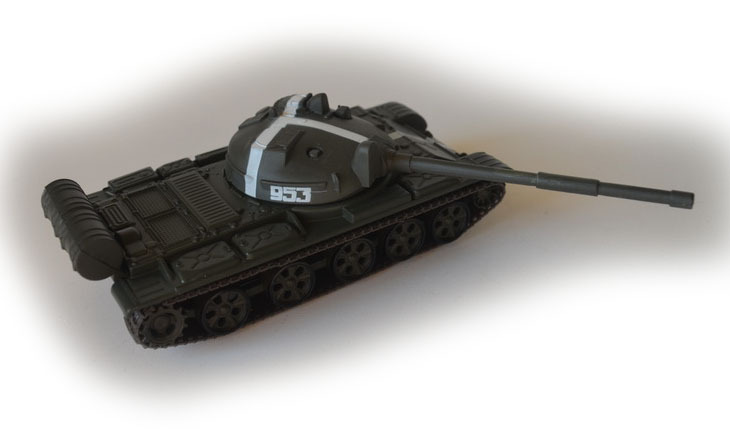 The T-62 is a Soviet main battle tank, a further development of the T-55. Its 115 mm gun was the first smoothbore tank gun in use. 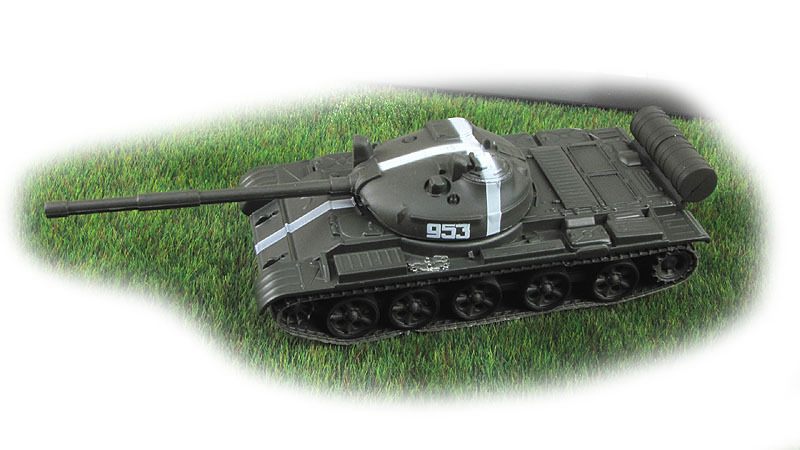 The T-62 was produced between 1961 and 1975. 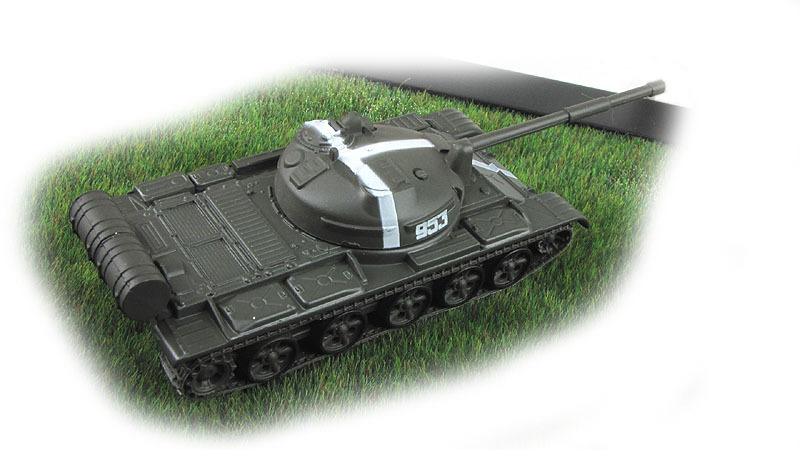 It became a standard tank in the Soviet arsenal, partly replacing the T-55, although that tank continued to be manufactured in the Soviet Union and elsewhere after T-62 production was halted. The T-54/55 and T-62 were later replaced in front-line service by the T-64 and T-72.